(647) 360-9635 : Call us or fill out the form on the right to get a free quote. 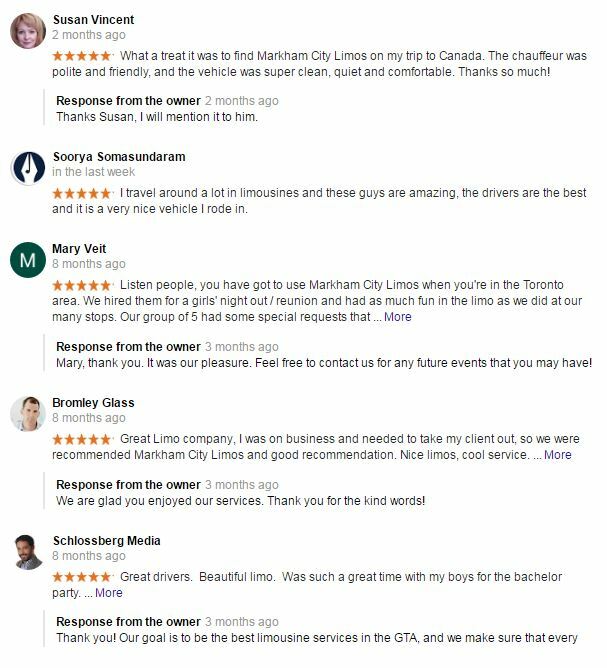 We are Markham's top transportation services, and we strive to provide the most professional and the highest quality of services for our clients. Our luxurious limousines are one of a kind and the very best in Markham and the Greater Toronto Area. You will be amazed by our professionalism from the very first time you contact us, the speed at which we get back to you after filling out our quote form, and the affordability that our company provides for each and every one of our clients. Our awesome and talented limousine drivers will ensure that you get to your destination on time and safely. Our drivers have been thoroughly vetted, and are the best in the industry today. We understand just how large the Greater Toronto Area is, covering a square foot radius of over 76 billion and with a population of over 6 million, it can be quite difficult to get around, especially when you, your family and friends are trying to get to an event. Let Markham City Limos take care of your transportation, we provide affordable and top-notch services. We promise you that you won't be disappointed. 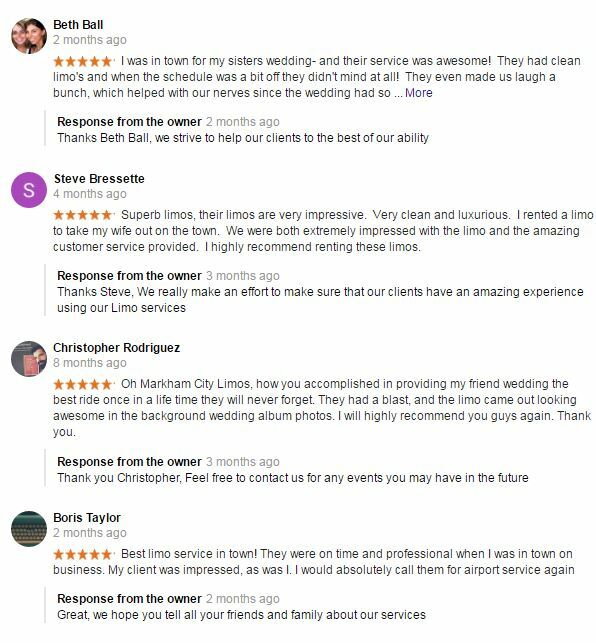 Below is a list of what some of our clients have said about us.